The Organic Pharmacy has announced the launch of the RoseDiamond Exfoliating Cleanser, an ultra, hydrating silk cleansing balm instantly reveals cleanser, brighter more luminous skin. The new Rose Diamond Exfoliating Cleanser a silky hydrating cleansing cream cleanser and daily skin peel in one that instantly reveals cleaner, brighter more luminous skin. Hydration comes from luxurious shea butter and coconut oil and the powerful but gentle exfoliation comes from bio-fermented enzymes from pumpkin and lactobacillus that dissolve dead, dull skin cells to reveal brighter, smoother and even-toned skin. 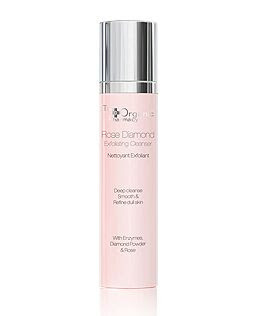 The Rose Diamond Exfoliating Cleanser‘s diamond powder boosts skin circulation and radiance and rose extract calms and refreshes the skin. “The Organic Pharmacy is not just a product range; it’s a way of life. We believe passionately in health and the powerful synergy between nature and science. Our collection is completely free from toxic chemicals and contains a rare level of organic purity which is achieved by a combination of sourcing the finest ingredients and the latest technology”. 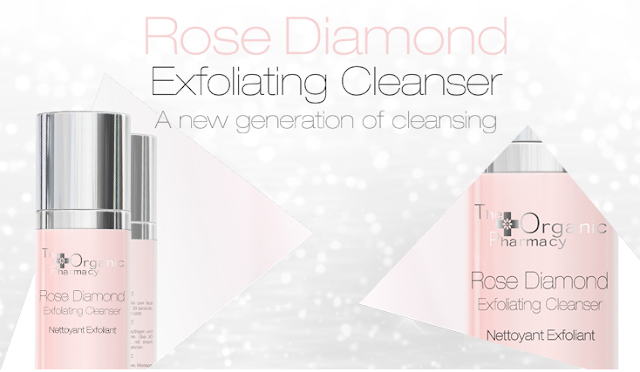 The Rose Diamond Exfoliating Cleanser will be available for €65.00 from 14 February from The Organic Pharmacy stores and theorganicpharmacy.com. Hi Linda, Yes it does sound fabulous. If you do try it out, con you please let us know how you get on with it and what you think? Today, challenges to pharmacy ROI are more frequent with many a result of the virtualization trends that are occurring. What do you know about mAdherence (mobile adherence) and mHealth (mobile health) and how they can impact ROI? In the event that you are somewhat more intrepid, you may have the capacity to locate some better evaluating if your search for a private pharmacy supply online. What could really compare https://www.tadalafilaus.com/ to the measure of the organization is the certainty that the pharmacy supply organization will furnish you with protected and reasonable physician endorsed drugs and non-doctor prescribed drugs.